INCLUDES 3 FREE RENTALS TO SEND TO YOUR FRIENDS! - Mudbloods the feature film. 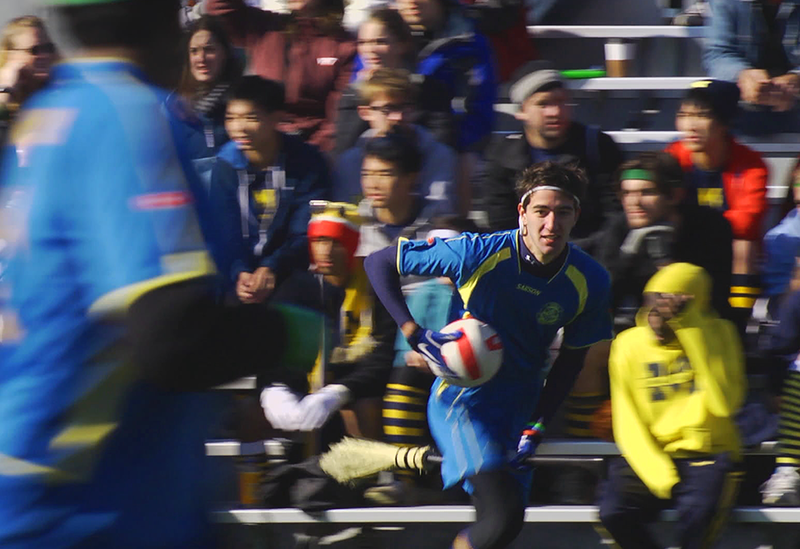 - Feature film with commentary by director Farzad Sangari and featuring Alex Benepe the Commissioner of the IQA, and Tom Marks the Captain of the UCLA quidditch team. - Behind the Scenes footage with the official #1 Harry Potter fan in the world. 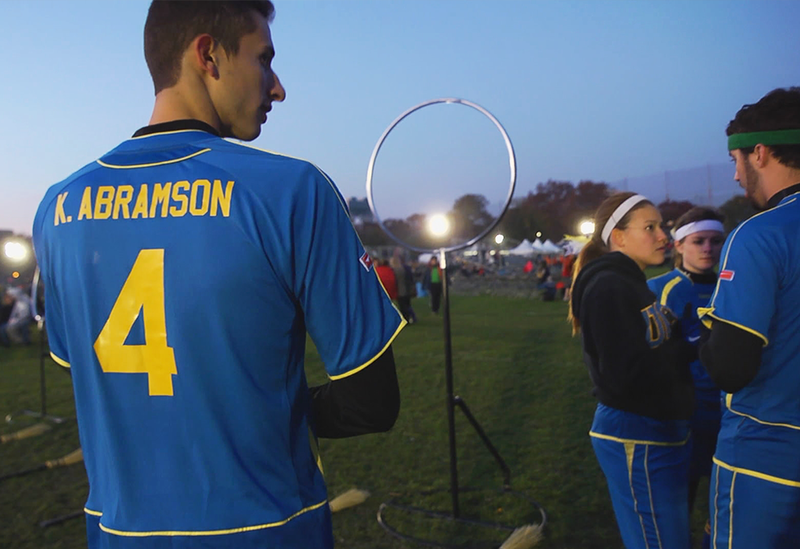 Transforming Harry Potter’s fictional competition into a physically demanding, real-life sport, quidditch has secured its place as one of the fastest growing collegiate club sports today. 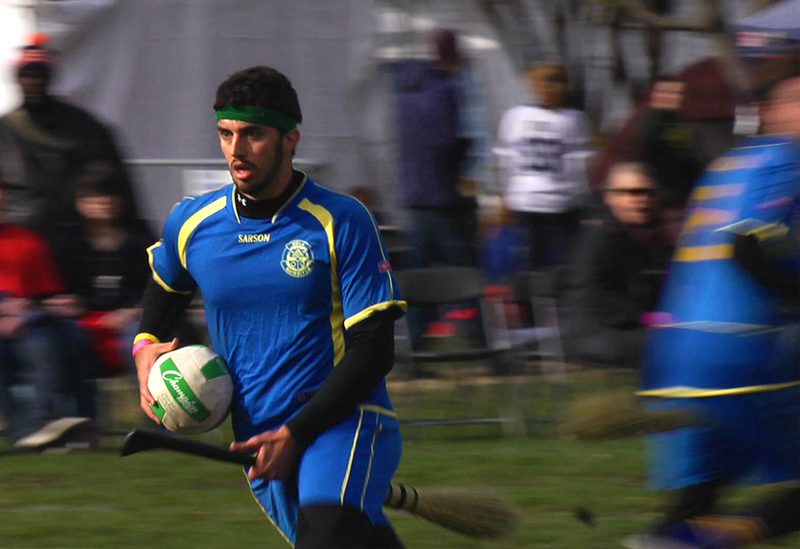 MUDBLOODS follows the resilient underdogs of the UCLA Quidditch team as they make their way to the Fifth Annual Quidditch World Cup in New York City. -Behind the Scenes footage with the official #1 Harry Potter fan in the world. Must have a .edu email address to purchase. Receive the latest news, exclusive updates, promotions and more when you sign up today. Thank you, you'll receive the latest Mudbloods updates soon! We've made a limited amount of the first official Mudbloods movie t-shirt, an Alternative Apparel basic crew made with 100% combed and ring-spun cotton. Grab one while they're still available in this sleek black on reflective black design.